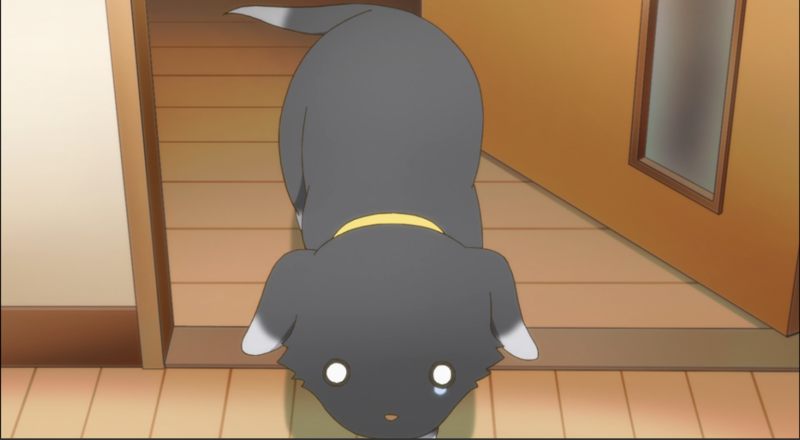 Hey everyone, cute mascots sell an anime right? Well, sometimes that may be the case. Take Kyubey, the cutest little creature which binds people into contracts for their souls! YEAH! Wait, what? Hmm, perhaps this cute mascot malarkey has a lot more behind it than I initially thought! Let’s turn our attention back to the focus of this review. 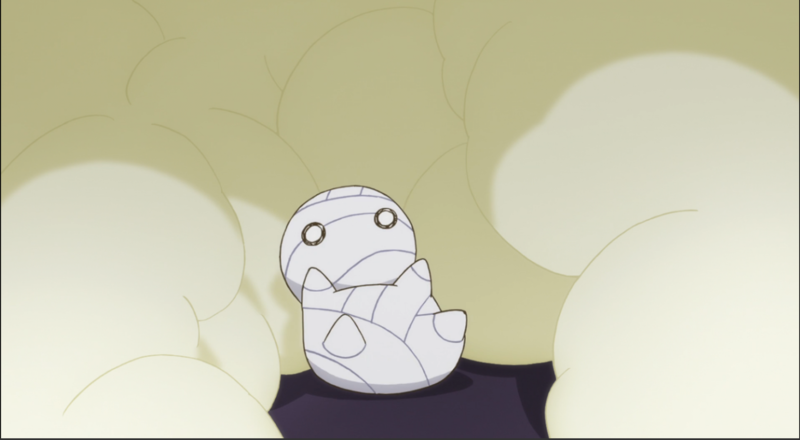 This Winter season, Crunchyroll have been promoting an anime called How To Keep A Mummy; a series all about a man and his struggles in keeping a tiny mummy. 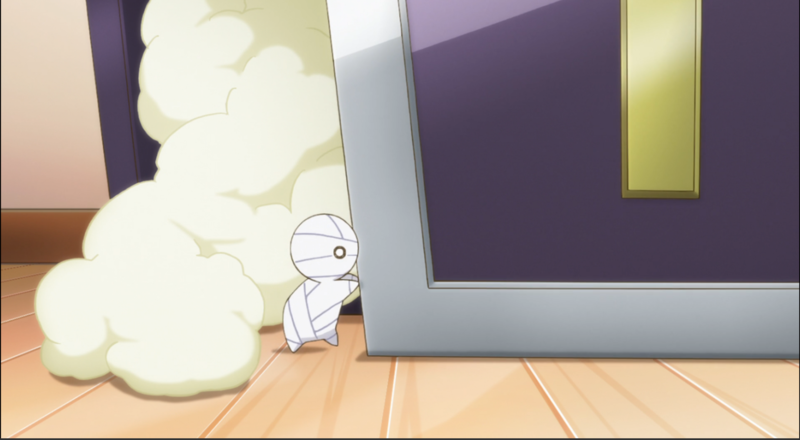 Except this isn’t an ordinary mummy, because I think I’d rather formalde-HIDE than watch that. Hah, I’m funny. 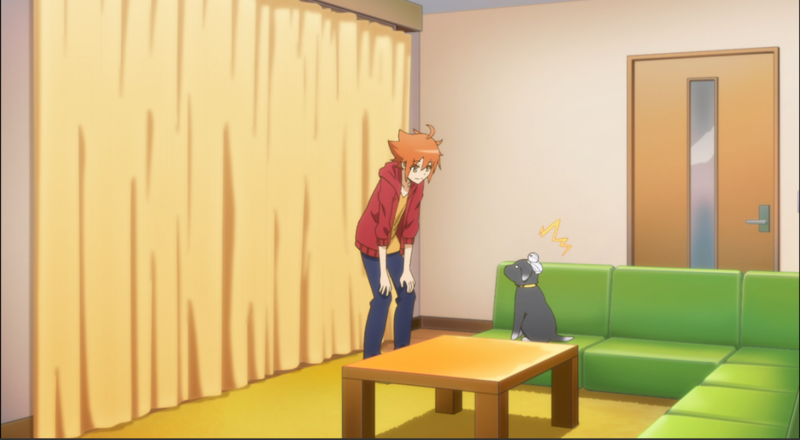 Anyway, come read about how a dorky guy deals with looking after the world’s smallest mini-…pet? 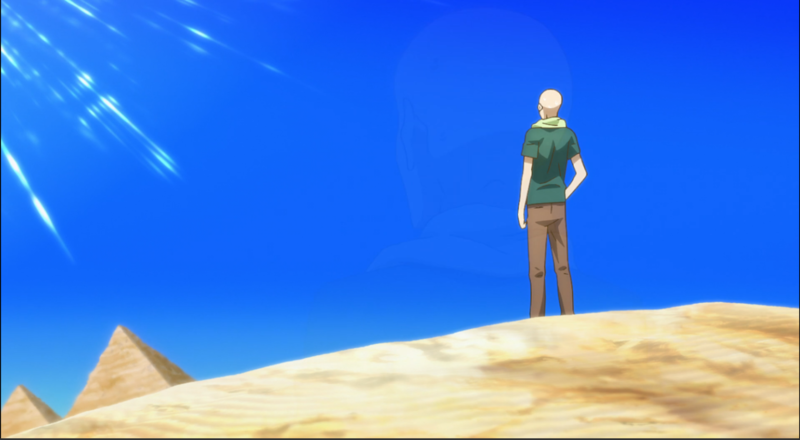 Our protagonist, Sora, is an ordinary guy who has an extraordinary dad; an adventurer of sorts. On his journeys, the father comes across things he sends back to his son. 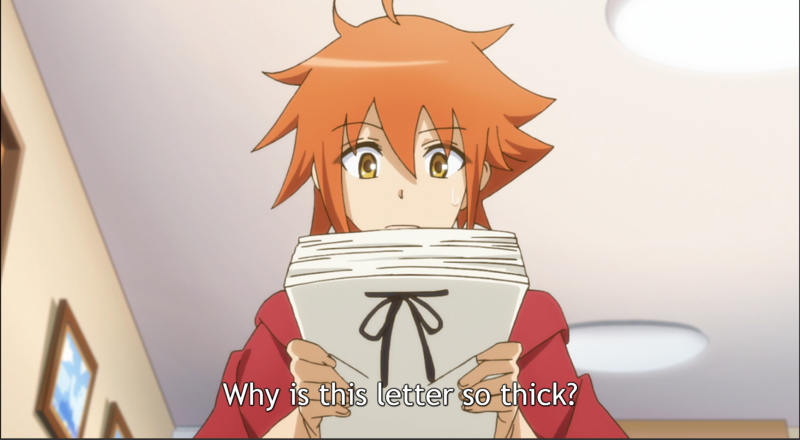 Every time, the thing he’s sent back has been hellish and dangerous. When his father sent his son a massive sarcophagus, Sora immediately didn’t trust what was behind the closed door, especially as loud, booming knocks could be heard from within. The sarcophagus opened itself up, revealing a teeny tiny mummy within. 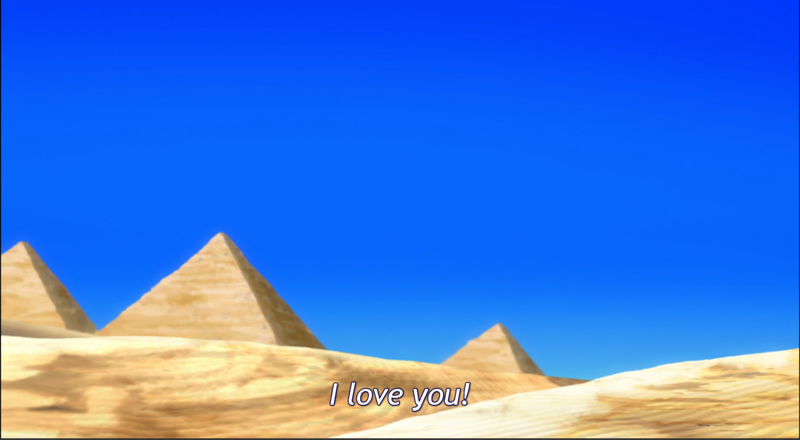 Originally, Sora distrusts the mummy, thinking it must be some kind of trick. 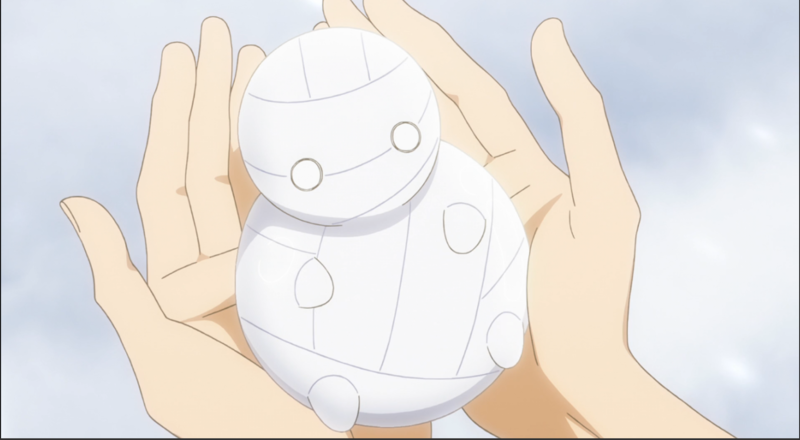 To his surprise, his father left a manual for how to care for the mummy that Sora comes to name Mii-kun. 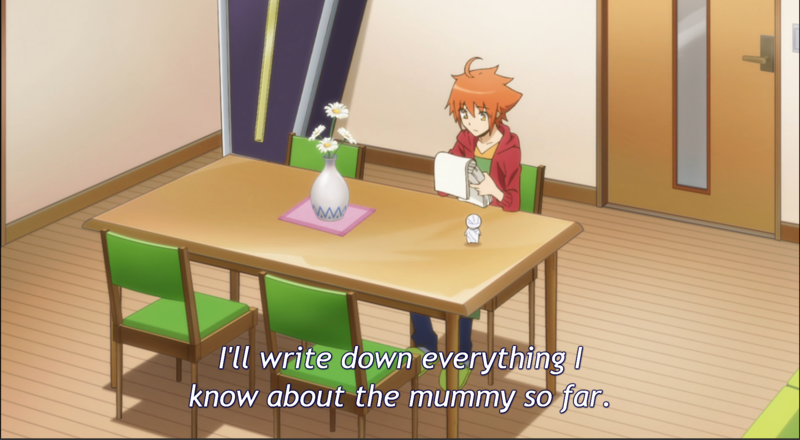 Thankfully, Sora is an outstanding chef, so he cooks a lot for Mii-kun and writes a diary of everything the little mummy likes to eat. How nice. Sora’s friends go on to find their own supernatural pets, making for entertaining dialogue between friends and their strange new companions. 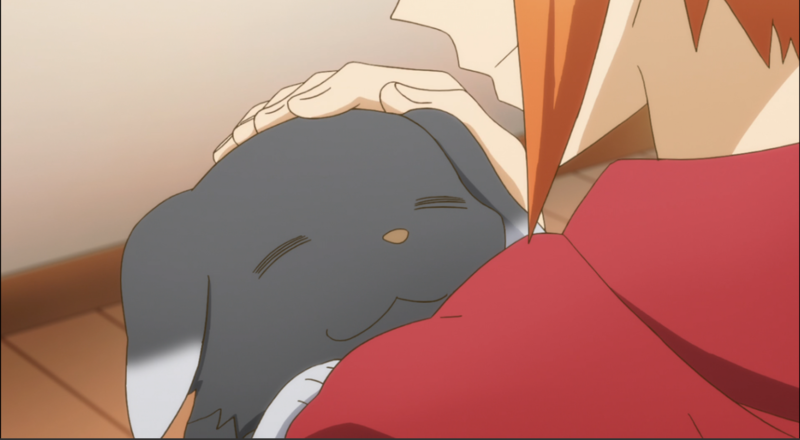 I’m not being very fair to be honest; I’ve heard a lot of people who are fans of the manga cite that the story picks up, but we’re on episode 8 and we’re still getting just… Cute episodes. I’m sure it’ll pick up. Eventually. Why is an Egyptian Mummy in a Christian Coffin? 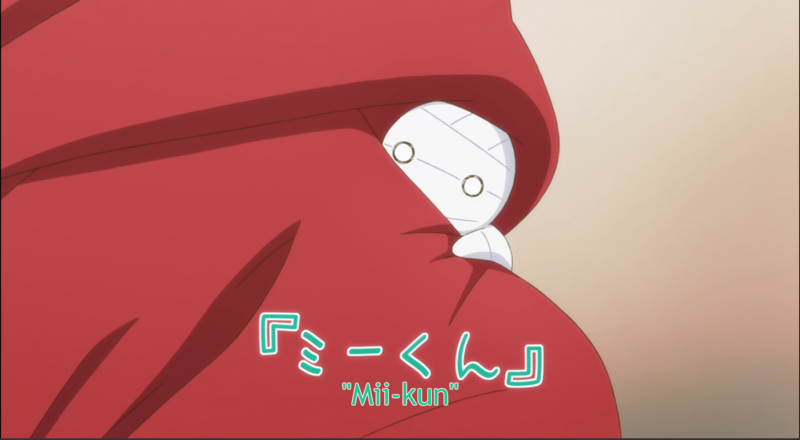 Given the mummy a name: Mii-Kun! Look at the fathers magnificent pose! This guy. Is a creep. Stay away. 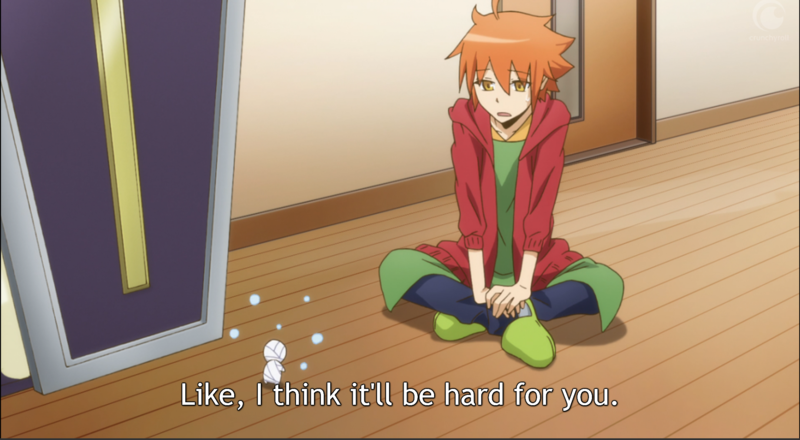 Because for some reason, we need to watch Sora take Mii-kun into a bath with him. 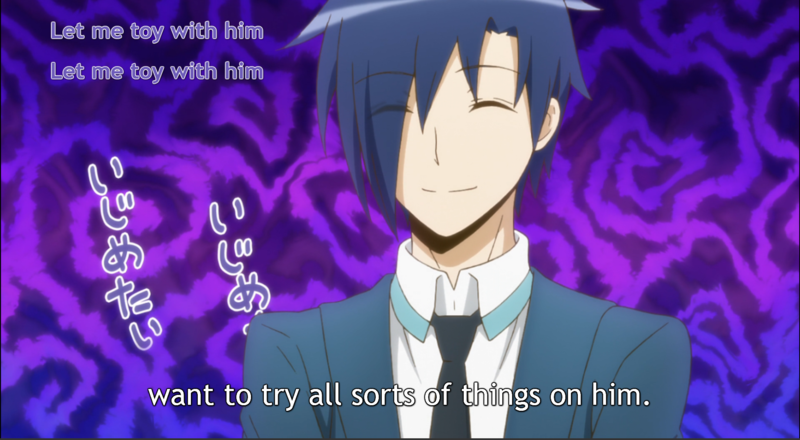 And watch Mii-kun turn into a water-logged thing. 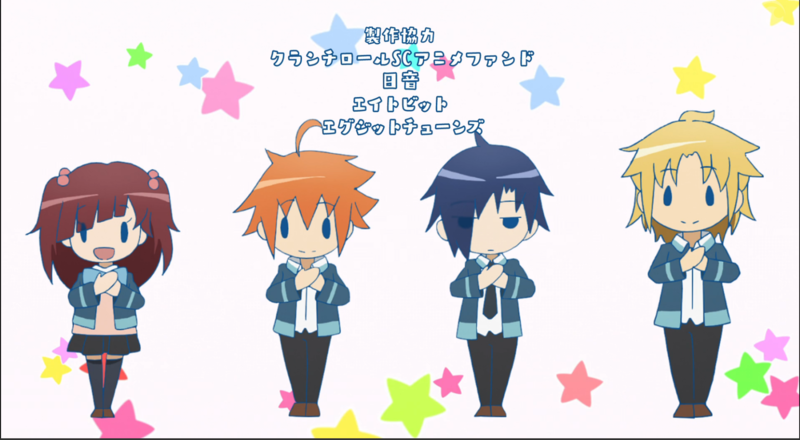 Usually, when I talk about the audio in an anime, I focus on the opening/closing and the voice actors. That’s kind of all there is to talk about, unless there is masterful use of sound effects. 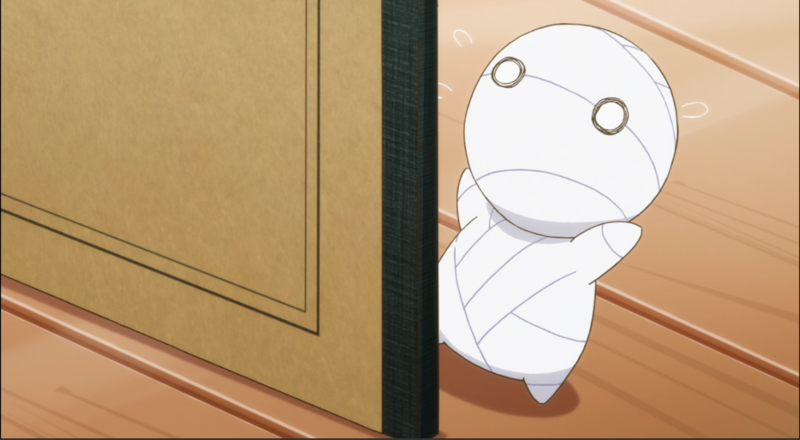 Unfortunately, with the exception of the pretty standard sounding male protagonist we follow, our little Mummy mascot is a mute, which sort of eliminates one of the more interesting points the show could have had. However, couple this with a relatively simple opening, there is very little to talk about. Still, above is the whole first episode, so you can have a watch and listen for yourself! 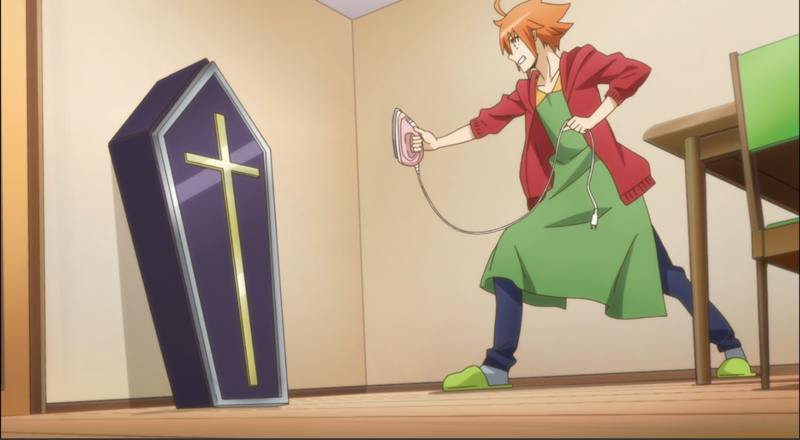 How thoughtful, Crunchyroll. This is a weird one for me – I’d normally shy away from writing something I wouldn’t recommend on a personal level, but I really wouldn’t recommend this. 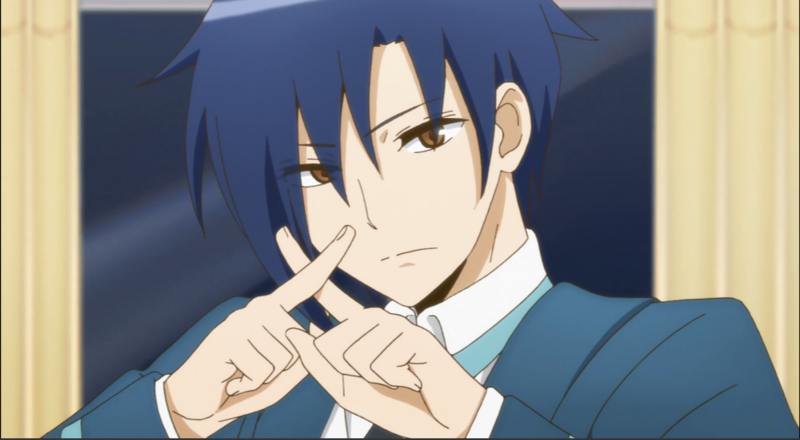 However, a lot of people may be swayed to watch this, purely because the antics of teeny tiny Mii-kun is actually rather adorable. Watching it struggle to lift a carrot alone is very cute. 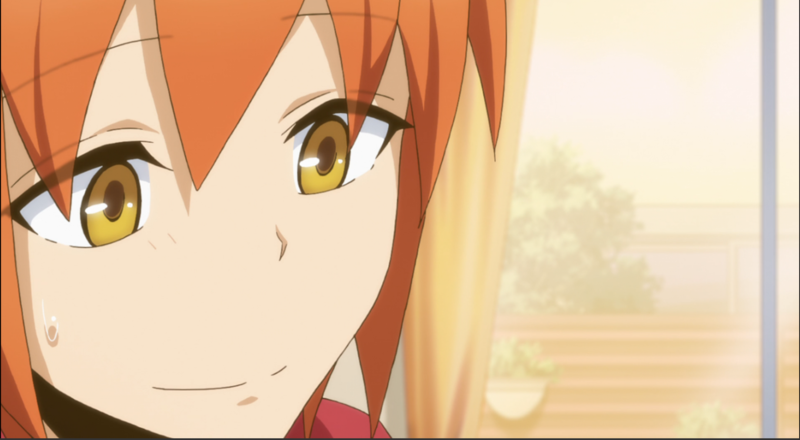 However, a whole series based around how cute something is just doesn’t work for me. 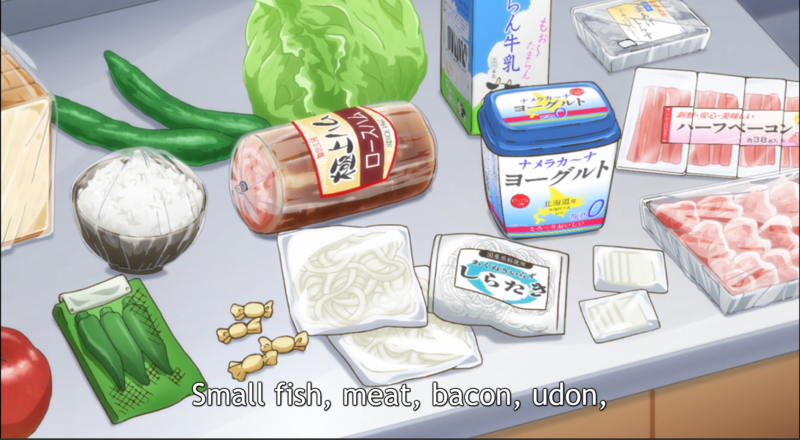 There needs to be more meat to it. 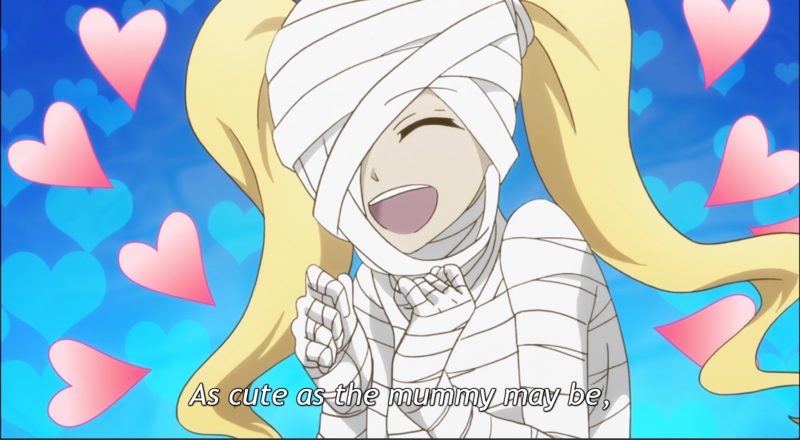 But don’t let this put you off if you’re a fan of cute anime; perhaps you’ll be wanting your very own mummy to keep. However, I’d not recommend that you go out and dig up ancient Egyptian relics so willingly. Besides, I can’t imagine they’d smell very good! As ever though, share your thoughts and opinions below, or over on Facebook or Twitter. Have you seen this show? What did you make of it? All opinions are welcome. This entry was posted on March 2, 2018 by Timlah. 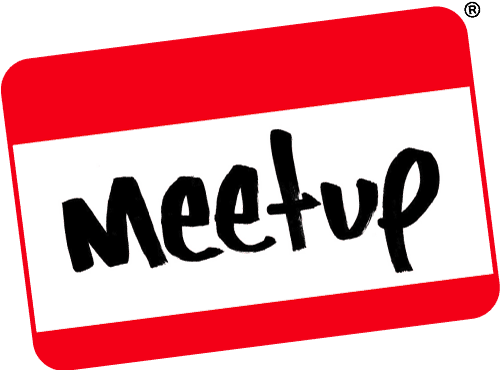 It was filed under GeekOut discussion and was tagged with 1st Episode, Anime, Anime Review, Anime with a small mummy, Crunchyroll, egypt, Free, How To Keep A Mummy, Mummy Anime, Review.